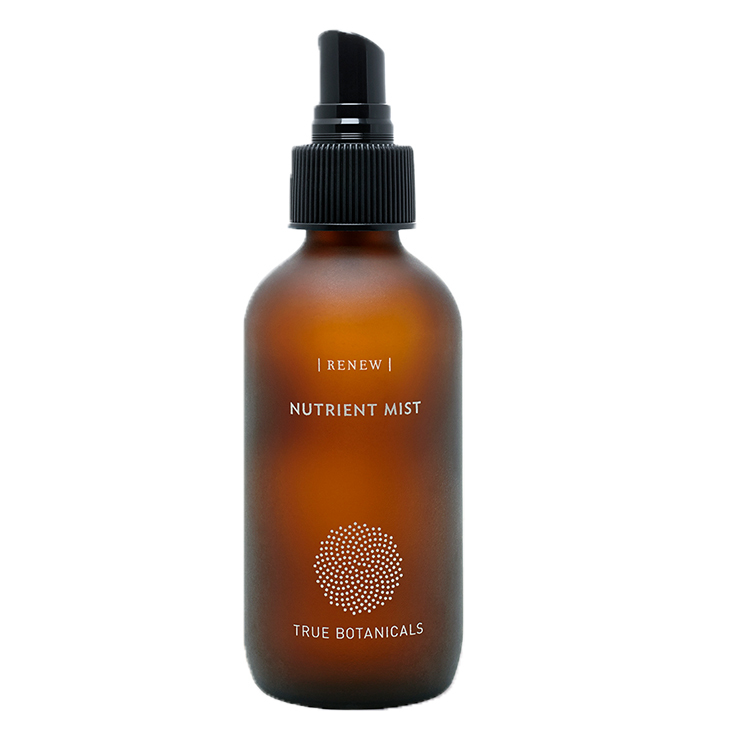 Give skin the feeling of instant hydration with True Botanicals Renew Nutrient Mist. Made with green and white tea leaf extract to address signs of aging and lend a feeling of protection against sun damage and pollution. Kombucha makes an appearance to improve the look of skin tone and texture, creating a firm, bright appearance. Antioxidant rich algae extract gives a hydrated and rejuvenated feel to skin. The complexion is left looking dewy and radiant. Mist generously onto face, neck, and chest after cleansing. May be used any time of day for a feeling of instant refreshment and hydration. Camellia Sinensis (Green And White Tea) Leaf Extract*, Citrus Aurantium Amara (Neroli) Flower Water, Saccharomyces/Xylinum/Black Tea Ferment (Kombucha)*, Silybum Marianum (Milk Thistle) Seed Oil, Algae Extract, Caprylyl/Capryl Glucoside (Plant Based Emulsifier), Phenethyl Alcohol**, Ethylhexylglycerin**, Abies Sibirica (Fir Needle) Oil, Cinnamomum Camphora Linalooliferum (Howood) Wood Oil, Jasminum Officinale (Jasmine) Oil, Citrus Aurantium Amara (Neroli) Leaf/Twig Extract, Boswellia Carterii (Frankincense) Oil, Rose Essence, Rosa Damascena (Rose) Flower Oil, Vetiver Oil.